CIHR and Byrnes Communications Inc (collectively, 'us', 'we', 'Operators') have created this privacy statement in order to demonstrate our firm commitment to privacy. 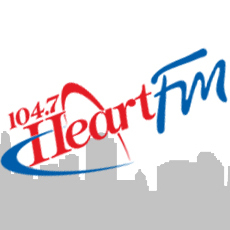 The following discloses our information gathering and dissemination practices for this Heart FM website ('Site'). We will not sell, exchange, rent, lease or otherwise disclose your Personal Information or Sensitive Personal Information to other third party marketers or any such persons that are not associated with the Operators as Advertisers unless it is necessary to: 1) conform to regulatory and legal requirements or to comply with legal process; 2) to protect the safety and security of our users, employees, or property; 3) to defend the rights of the Site or the Operators; or 4) to enforce the Terms and Conditions of the Site. It is also necessary that we share your Personal Information and Sensitive Personal Information with our operational service providers, the specialists that provide internal support to the Operators operations and activities and/or for Site design, development, hosting and operations including maintenance, management, storage and/or fulfillment of our membership and e-mail clubs, various contests, sweepstakes, services, events etc. We use operational service providers to efficiently provide the full range of content, activities and membership services we bring to you and we request that our operational service providers also protect your privacy and not disclose your Personal Information or Sensitive Personal Information to third party marketers that are not associated with the Operators or website. Additionally, such providers are not to use your personal Information for their own marketing or promotional purposes. Our Site's registration form requires users to give us contact information (like their first and last name, mailing address, phone number, and email address) and demographic information (like their postal code, age, or gender). We use customer contact information from the registration form to send the user information about the radio station, via an email newsletter from time to time and other needs as they arise. The customer's contact information is also used to contact the visitor when necessary. We give users the option to remove their information from our database, to not receive future communications, or to no longer receive our service, by submitting your request to Member Support. Demographic and profile data is also collected at our site. We may use this data to tailor the visitor's experience at our site, showing them content that we think they might be interested in, and displaying the content according to their preferences. This information may be shared with advertisers and other third parties on an aggregate basis. For specific purposes (such as the purchase of goods and services) we may request a type of confidential personally identifiable information which shall be called "Sensitive Personal Information" and is defined as any individual's: (1) driver's license number; or (2) account number, credit or debit card number, in combination with any required security code, access code or password that would permit access to an individual's financial account. This Sensitive Personal Information will only be used to implement the specific activity or event it was submitted for. We will not share your Sensitive Personal Information with Advertisers. However, more general Personal Information will be used to implement the specific activity or event and will also be used for the marketing of additional events, services and merchandising for this Site and the Operators. Our opt-in program allows you the opportunity to request to be contacted with additional information, to receive special offers and/or to receive materials from Advertisers. If you elect to opt-in to receive information, materials or special offers from these third parties, you give the Operators permission to transfer your personal information to our partners so they can fulfill your request. We will only share your information with those Advertisers or category of Advertisers you specifically opt-in to. Our third party partners have separate privacy and data collection practices; the Operators have no responsibility or liability for these independent policies. If you do not want your personal information shared with Advertisers, please select the option to not participate in our opt-in program. We conduct the collection, management, maintenance and storage of listener or website user information in a secure and commercially reasonable manner using acceptable industry standards of security technology and practices (such as electronic security systems and password protections) to protect against the loss, misuse or alteration of Personal Information. We also request that our operational service providers take such precautions. The Operator databases are accessible only by authorized personnel. However, please note that when users transmit Personal Information over an unsecured Internet connection, the Site is not responsible for the security of that information during the transmission stage as your email or registration could be copied or intercepted by unknown third parties. We use a secured connection only for the collection of Sensitive Personal Information, which is necessary for the purchase of goods or services, but we do not use a secured connection for other types of activities. Therefore, you understand, acknowledge, and agree that you transmit certain Personal Information over this Site at your own risk. We will not use, store, or disclose any child's Personal Information to a third party without prior parental consent. This Site may have contests and prizes that could appeal to children. However, we do not knowingly or intentionally collect personal Information from children. If we unintentionally receive Personal Information from children under the age of 13 in relation to this activity, we will reject and destroy such correspondence upon knowledge of such collection.